NEW YORK (AP) — The gothic family fantasy “The House With a Clock in Its Walls” exceeded expectations to debut with an estimated $26.9 million in ticket sales at the weekend box office, while audiences showed considerably less interest in Michael Moore’s Donald Trump-themed documentary, “Fahrenheit 11/9,” than his George W. Bush-era one. 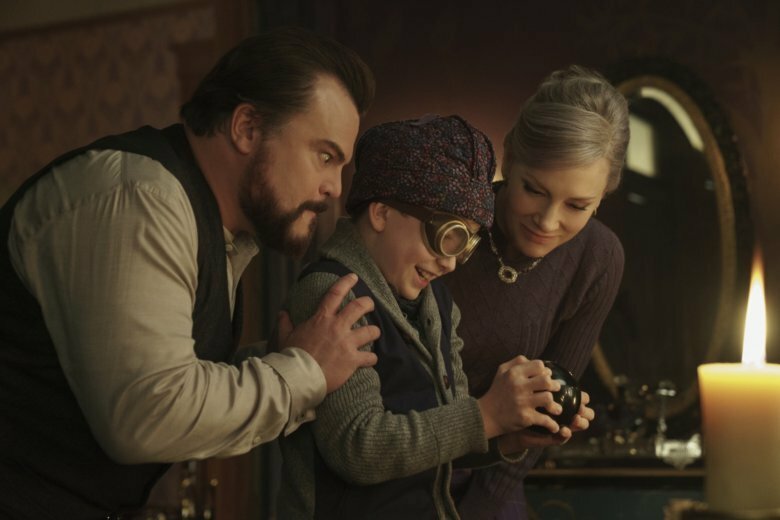 “The House With a Clock in Its Walls” was easily the biggest draw on a quiet weekend at North American movie theaters, where the other three new wide releases all disappointed or downright flopped. “Fahrenheit 11/9” opened with $3.1 million in 1,719 cinemas — a huge debut for most documentaries but a fraction of the $23.9 million opening generated in 2004 by Moore’s record-breaking “Fahrenheit 9/11.” That film went on to make $222.4 million worldwide, a record for documentaries. Moore’s new film, which examines the rise of Trump and other developments like the water crisis in his hometown of Flint, Michigan, was the first release from former Open Road chief executive Tom Ortenberg’s new distributor, Briarcliff Entertainment. It had been predicted to open with $5 million to $8 million. But despite a surge in success for documentaries at the box office — including “RBG,” ”Won’t You Be My Neighbor” and “Three Identical Strangers” — “Fahrenheit 11/9” didn’t catch on. Dan Fogelman’s “Life Itself” and the home invasion thriller “Assassination Nation” both barely made a blip in nationwide release. Though Fogelman’s “This Is Us” is one of TV’s top-rated series, his “Life Itself” bombed with $2.1 million despite a starry cast including Olivia Wilde, Oscar Isaac and Antonio Banderas. The film — an unabashedly sentimental tale of destiny across generations — drew some of the most scathing reviews of the year, landing it a 13 percent “fresh” rating on Rotten Tomatoes. The Amazon Studios release, which opened in 2,609 theaters, was one of the worst performing wide releases of the year, as was Sam Levinson’s “Assassination Nation.” The Neon thriller grossed just $1 million in 1,403 theaters. But Universal Pictures’ “The House With a Clock in Its Walls,” based on the classic book written by John Bellairs and illustrated by Edward Gorey, capitalized on a recent dearth of child-friendly options. The film, directed by the horror veteran Eli Roth with a budget of $40 million, stars Jack Black and Cate Blanchett. With the fall movie season getting started, a few specialty films hit theaters, drawing packed theaters in limited release. Bleecker Street’s “Colette,” starring Keira Knightley as the iconic French author, debuted with $156,000 in four theaters, good for a per-screen average of $39,000. Jacques Audiard’s dark Western “The Sisters Brothers,” starring Joaquin Phoenix and John C. Reilly, opened with $122,000 in four theaters for a $30,500 per-screen average. Last week’s top film, “The Predator,” slid fast with a 65 percent drop, earning $8.7 million in its second week. Holding stronger was Lionsgate’s “A Simple Favor.” Paul Feig’s suburban noir, starring Blake Lively and Anna Kendrick, dropped only 35 percent for a $10.4 million second weekend. “Fahrenheit 11/9” may have decent weeks ahead leading up to the November midterm elections. ComScore’s PostTrak survey found that 82 percent of viewers gave it four out of five stars. It landed an A CinemaScore. 1. “The House With a Clock in Its Walls,” $26.9 million ($8.7 million international). 2. “A Simple Favor,” $10.4 million ($5.2 million international). 3. “The Nun,” $10.3 million ($35.4 million international). 4. “The Predator,” $8.7 million ($15.2 million international). 5. “Crazy Rich Asians,” $6.5 million ($5.1 million international). 6. “White Boy Rick,” $5 million. 7. “Peppermint,” $3.7 million ($1.6 million international). 8. “Fahrenheit 11/9,” $3.1 million. 9. “The Meg,” $2.4 million ($3.4 million international). 10. “Searching,” $2.2 million ($3.6 million international). 1. “The Nun,” $35.4 million. 2. “Golden Job,” $23.2 million. 3. “Johnny English Strikes Again,” $17.2 million. 4. “The Predator,” $15.2 million. 5. “L Storm,” $9 million. 6. “The Great Battle,” $8.9 million. 7. “The House With a Clock in Its Walls,” $8.7 million. 8. “Incredibles 2,” $8.3 million. 9. “Mission: Impossible — Fallout,” $8 million. 10. “Ash Is the Purest White,” $5.9 million.